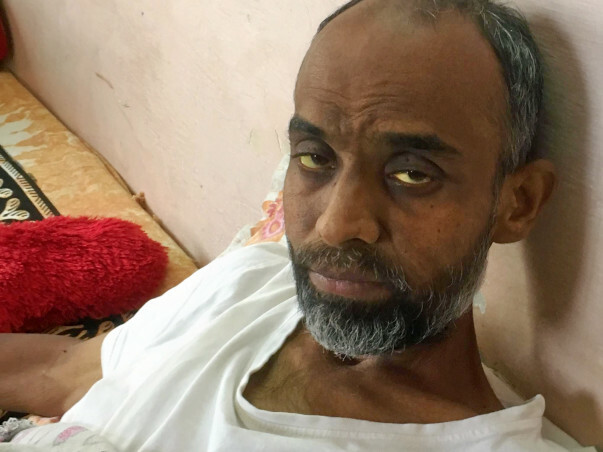 My elder brother has been diagnosed with End stage Liver Cirrhosis, which means, which means that he has few days left, if a Liver Transplant surgery is not done within few days. 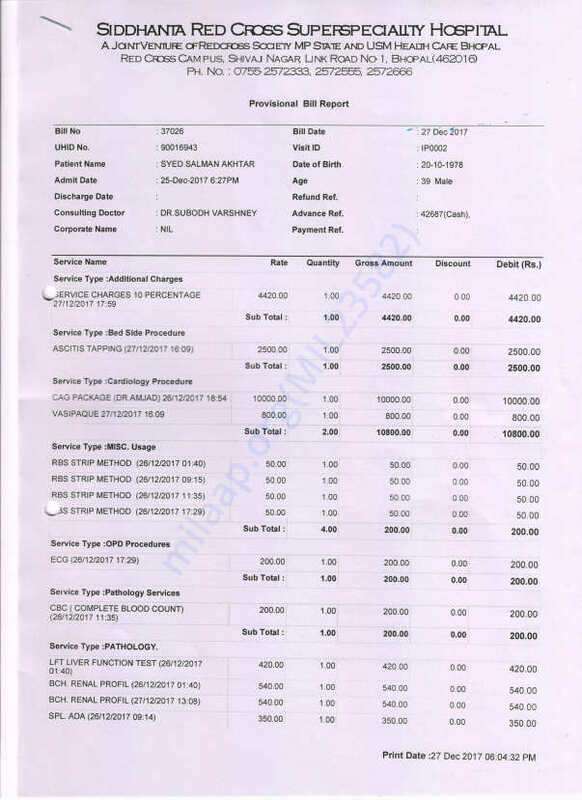 The operation cost somewhere around Rs. 20 Lakhs (INR), plus there will be pre and post operation expenses in the form of tests and check-ups, which will cost around Rs. 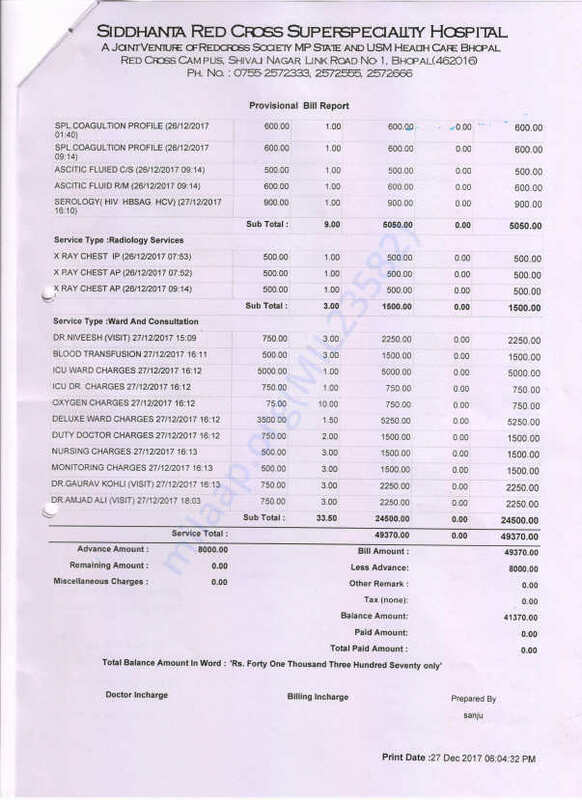 10 Lakhs. He has been quite ill lately and we have been visiting hospitals almost every second day. The doctors do some quick fixes keep him in the hospital for 2-3 days and we come back, only to visit again after few days. 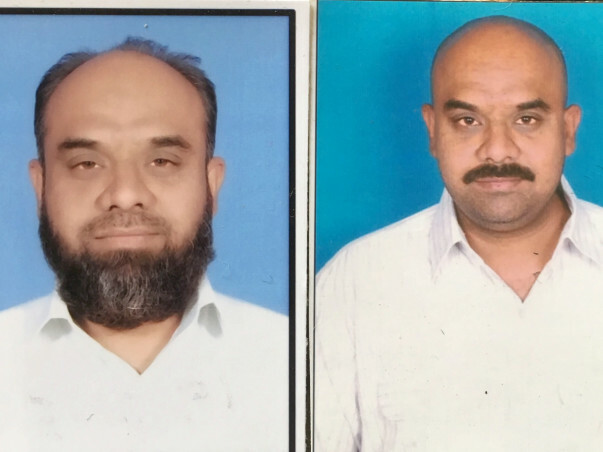 We are from Bhopal, Madhya Pradesh, my brother used to run his small business, he had a food truck but since he had taken till, he is out of job and has little or no savings. 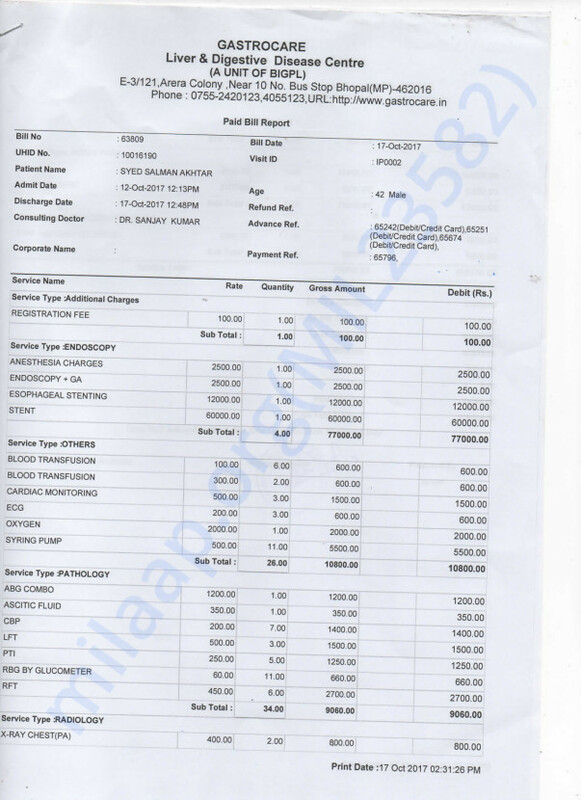 We have already spent around 3 lakhs as of now, including Banding, Stenting, a series of Endoscopy, many tests and of course hospitalization cost, but, the doctors have now said that these fixes will only give us time for few more days until we go for a Liver Transplant Surgery, my parents are retired government servants with meager savings and I work for a private firm, not have enough savings or resources to meet this expense. My brother is just 40 and has an 11 year old son, I request everyone to donate whatever they can to make this operation a possibility. P.S. 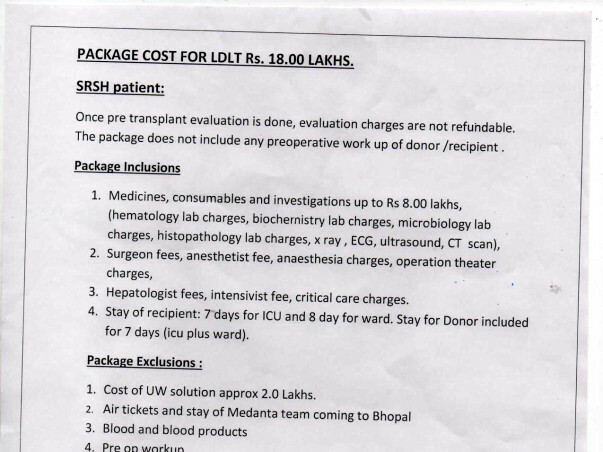 :I am attaching the draft of the package cost that we have procured from Siddhanta Red Cross Hospital. 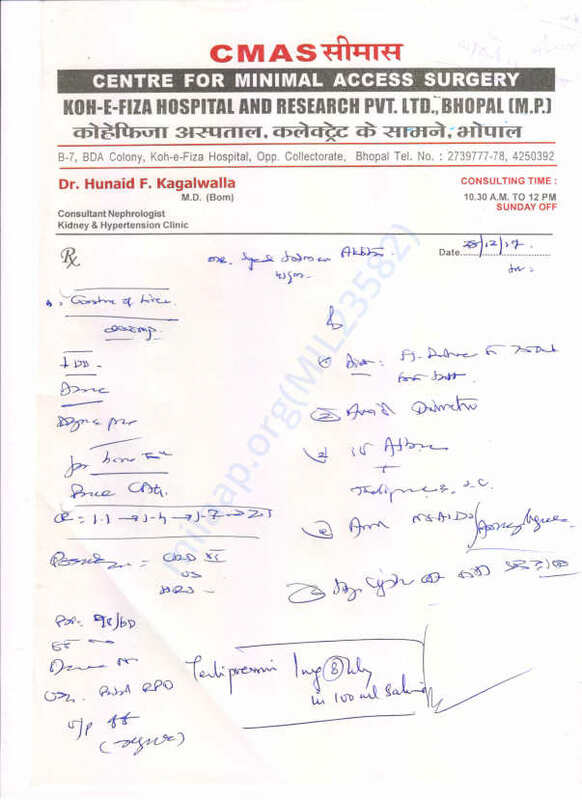 Bhopal, my brother’s test reports, diagnosis, prescription are a huge bunch of files, so it is not possible to scan them and send them, but still, if somebody is interested to see them then I can scan them and send. Unfortunately, with inexplicable grief, I'm having to inform you that my brother passed away on 12th April. He was given the best treatment possible but we couldn't save him. We did manage to get a donor for him, but due to complications, the doctors couldn't go ahead with the liver transplant. 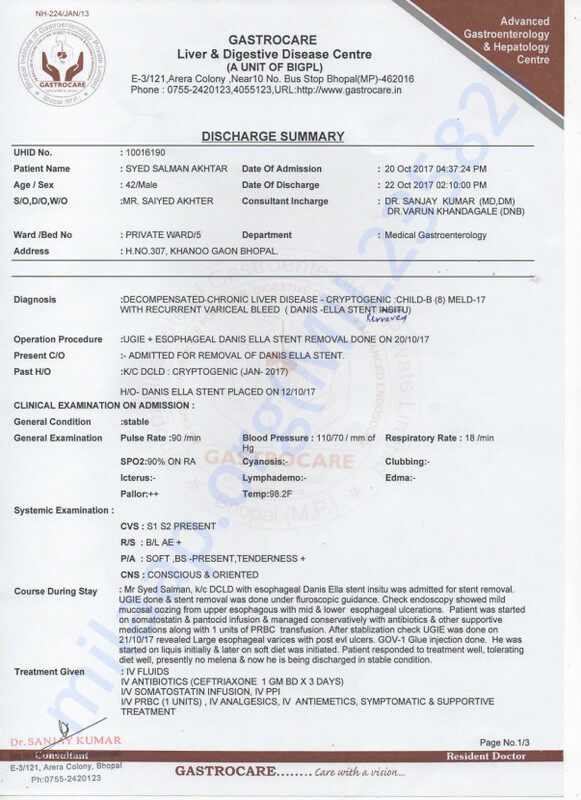 He was on high dose of medication since March 2018 mainly to pass out the toxins from his body. 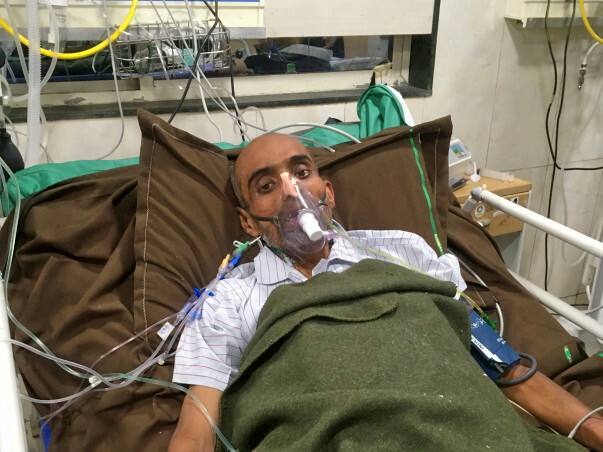 But his condition started worsening from 6th April. He stopped responding to the treatment. 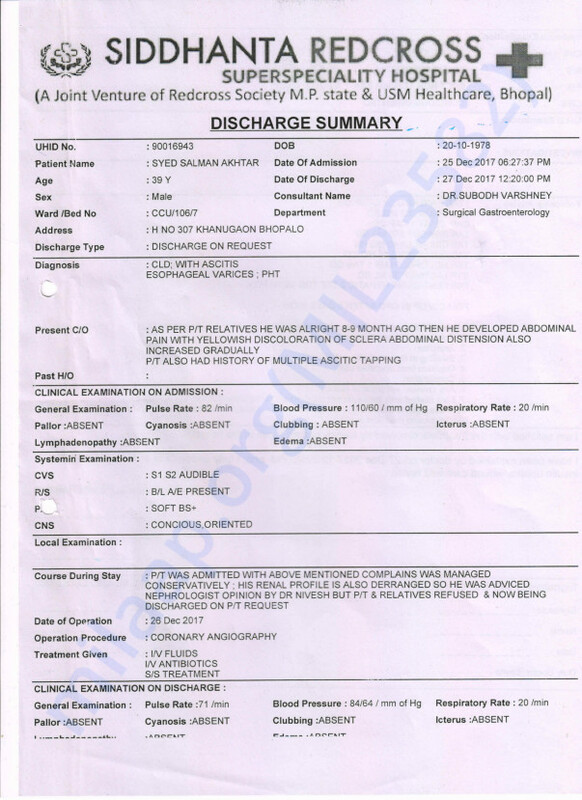 Gradually, his BP started dropping on 10th April and eventually, we lost him. Please keep praying for my brother's departed soul. 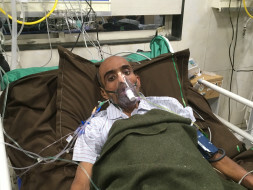 Salman is admitted in the hospital and is currently on the ventilator, his condition deteriorated day before yesterday, he is unconscious since then, not able to recognize anyone, just pray and hope he gets well soon. 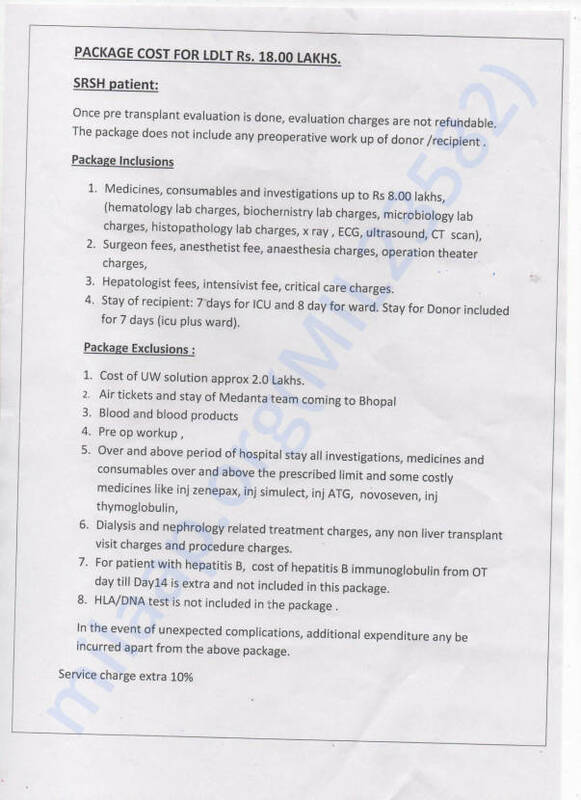 Hi All, just to update you, we got a call from Siddhanta Hospital last night that they have a donor for Salman, we went there, after 2-3 hours of tests and lot of thinking and rethinking the Medanta team of surgeons refused to operate since there is clotting in the portal vein (main vein) that provides blood to the liver. The doctors said it would increase the risk, and chances of survival will be less if operated upon, so the surgery could not be done. Still, thank you to all the people who supported us, please pray for my brother. Thanks to Shazli Ul Hussaini for being a medium of help. Get well soon dear. May Allah bless you with health soon.